FORT MYERS, Fla. (February 2007) - One day in May 1995, Bernice Walker stood on Edwards Drive, across the street from the Fort Myers Exhibition Hall, and took a picture. It's a portrait of a building still sure of its role in the community. Cars line its parking lot along Edwards Drive. Its tan paint job is pristine. Every shingle is in place on its massive barrel roof, every dark brown letter in its name high on a wall. The photo captures the face of the structure that has stood along the Caloosahatchee River since 1954. Flip the photo, and you see into its heart. "Exhibition Hall -- where Gail's high school graduation was held and Jason played in a band, for Edison week (Lee Barclay band) and Maddy-Joe had their 50th ann. there," Walker's friend, June Dickens, wrote in blue ink. 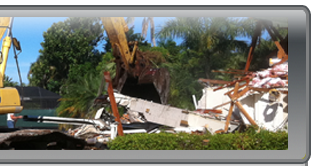 Dickens won't be there tomorrow, when men and machines from Honc Destruction of Cape Coral start demolishing it. It won't take long. 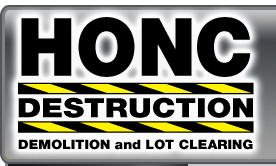 Honc president David Mulika has said he expects workers to wipe the site clean within 30 days. Indeed, the structure corralled by a chain-link fence appears too tired to resist. A torn gray tarp covers the massive brown shingle roof that was battered by Hurricane Charley nearly three years ago. Five letters are missing from its name, looking like a gap-toothed smile; plywood mars its wall of windows facing Hendry Street and overgrown bushes crowd its personal space. Its once-creamy tan skin is pitted and flaking, streaked with dirt and rust. The pride of its birth in an age of modern architectural experimentation is long gone, the ultimate indignity its condemnation in 2004. The doors had already closed for good, on Christmas Eve 2003 -- after Salvation Army staffers distributed Christmas toys. That's not the Exhibition Hall that Dickens will remember, the hall of her picture and in her mind. "We moved to Fort Myers in 1956, so Exhibition Hall was an important place for us. ... It's held many memories for us," she recalled. Dickens likes Exhibition Hall's unique architecture, its Quonset hut-like barrel of a body supported by nine massive ribs with a tall block containing the stage stuck on one end. "It's a beautiful building," she said. Beautiful, too, was the living Christmas tree that grew in the parking lot as Fort Myers High School choir members dressed in green filed out of the building onto risers one holiday night for several years, Dickens said. She remembers another event that took place in front of the front doors, on a blocked-off Hendry Street. "In about 1958, a hula hoop contest was held, right on the street ... my daughter, Gail Abney, won that contest," Dickens said. Her daughter was 5 at the time. "Then in 1969, the high school class graduation was held in the hall. Again, she was a part of that." Inside the hall, the Jason whom Dickens mentioned on the back of her photo -- her grandson, Jason Spencer -- played guitar with the Lee Barclay band in 1991, on stage as part of the Edison Festival of Light events. He was 16. And her aunt and uncle, Maddy and Joe Schlitzer, celebrated their 50th anniversary there that same year, with hors d'oeuvres and dancing in the room overlooking the river. Karky Karkalitis, a well-known local pianist, performed. The stage where her grandson performed retains its black paint job, and signs still urge, "No Smoking Stage Area,"" but the rooms behind the stage are cluttered and cold. Dianne DeBoest is no fan of the hall's quirky design, but like Dickens, her memories still make her smile. On June 26, 1955, she married Richmond Powell. The two were well prepared for the pomp and pageantry -- he had been crowned King of Edisonia earlier that year, and she was in the court. After their 4 p.m. wedding at St. Francis Xavier Church, the newlyweds and their guests made the short trip to Exhibition Hall, for what she recalled was the first wedding reception the building hosted. "It was held on the patio, which at that time was open to the river and, of course, had no air conditioning," said DeBoest, of Alva. "It was very warm, even though it had rained that day." Nearly 300 guests attended. They sipped Piper-Heidsieck Champagne (her parents purchased 40 cases) and danced on the shiny terrazzo floor of the patio -- a long room, then partially open to the river like a lanai without the screen, that was later enclosed. "Dad sort of went overboard -- we had some left over," DeBoest said of the champagne. Her parents, Harold and Mildred Crant, started The Shell Factory. "It worked out beautifully. ... It was a nice place to have a reception. The other only place we could have had it was the Fort Myers Country Club," she said. After a honeymoon trip to Niagara Falls, Montreal and New York City, the couple returned often to Exhibition Hall for the Fort Myers Two Hundred Club's several dances a year. Today the terrazzo floor where she danced as a bride years ago is dull and seamed. It's a puzzle of giant pieces, and one long crack meanders along the west side of the room where guests mingled near potted palms. "The building appears to be shifting toward the river," said Laurie Victory, purchasing agent for the city and the one who oversaw the demolition bidding process and asbestos removal. "You can see the cracks in the walls where it's starting to separate." Hibiscus shows. Orchid shows. Bazaars. Proms and receptions and high school graduations. Home and boat shows and dinners and dances. Innumerable people attended thousands of Exhibition Hall events through the years. Many remember it as an excellent host. In 1965, Mark R. Huber of Fort Myers went to his Fort Myers High School senior prom at Exhibition Hall. He had moved to Fort Myers in 1956, so he didn't get to see Elvis perform there in 1955. But Huber did see Jerry Lee Lewis get crazy on the stage around 1964. "He was a wild act," Huber said. "He got frenzied and sweaty, nearly stripped all his clothes off, lay on his back" and played the piano with his feet, he added. "True to form for 'ol Jerry Lee." About that same time, the early 1960s, Huber also saw Tommy Roe & The Romans, Lou Christie and Roy Orbison perform at Exhibition Hall. Years later, his wife Elfi saw Kenny Rogers perform at the hall. "I liked the place ... I thought it was a neat place to go to. Having grown up with the town more or less, that was the place to be," Huber said. "I always hate to see a piece of history go, because once it's gone, that's it." Some attending shows sat in the balcony, under the front wall of windows. Now only one of the two staircases is open -- the other is gated with a sign that says "Please Do Not Enter" -- but the key remains in a nearby lightboard. Kristy Applegate of Cape Coral saw Kenny Rogers there too, in a concert with T.G. Sheppard in 1977. And the Rev. Robert G. Browning Jr. wrote and read a prayer for President Gerald Ford when he made a stop on his campaign trail there, on Feb. 14, 1976. He's still got the letter that Ford wrote him after the visit and the copy of the prayer that Ford autographed. "I was really cheeky with him. I said to him, 'President Ford, if you want me to read this prayer, you need to sign it,'" said Browning, rector emeritus at St. Hilary's Episcopal Church in Fort Myers. Browning is not sad that the end of Exhibition Hall will begin tomorrow. After all, he has pictures and his memories, like so many others. "It needs to come down," Browning said. "We need to move ahead."